Decorate your home this Christmas with our Christmas Stocking! This will surely add some holiday spirit to your home! Size: 4 1/4" x 5 1/4"
Made of cast iron, great quality! 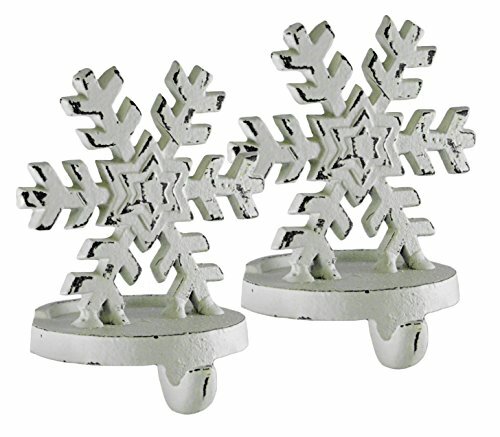 This white cast iron stocking holder features a distressed snowflake design.